With a professional concentration in glycerol and coconut oil, the Serie Expert Nutrifier blow dry cream brings the right dose of nutrition and protects the hair fibre from heat up to 230°c.Glycerol imitate’s hair’s natural nourishing elements to provide hydration, and coconut oil brings nourishment and shine to the hair without weighing down. Nourished, hair is instantly transformed: softer, more supple, shinier and more resistant. Apply to wet or towel-dried hair. Do not rinse. Blow-dry or straighten. 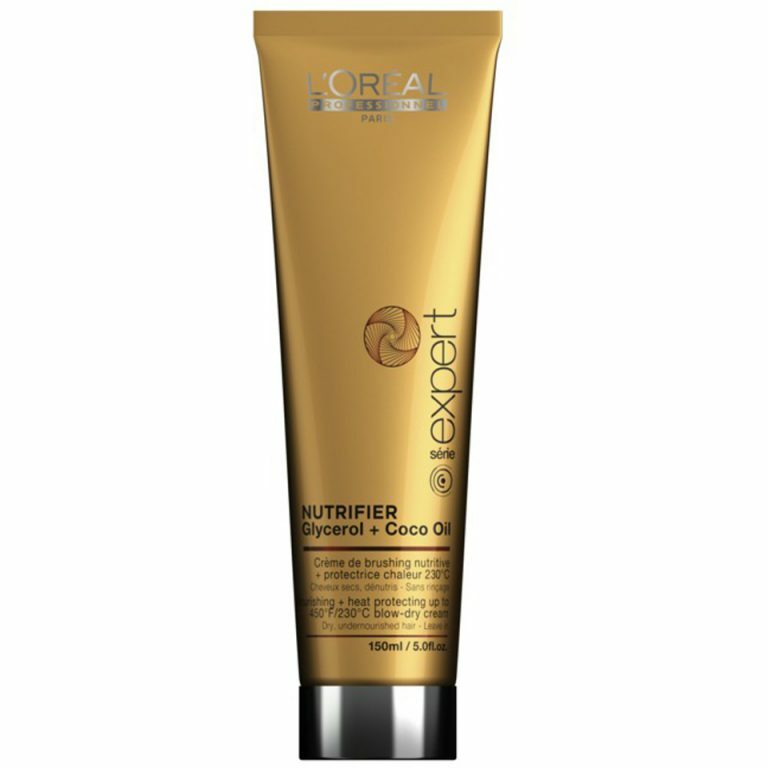 Buy Serie Expert Nutrifier Blow-Dry Cream 150ml on-line today at Riah Hair.